Chelsea Lorraine is a singer/songwriter from Melbourne, Australia. She first hit the stage with her band in late 2016 and has been quietly crafting away at her recently released debut EP, 'I Won't Settle'. ​Music and songwriting has been a passion of hers from the time she could walk and talk. 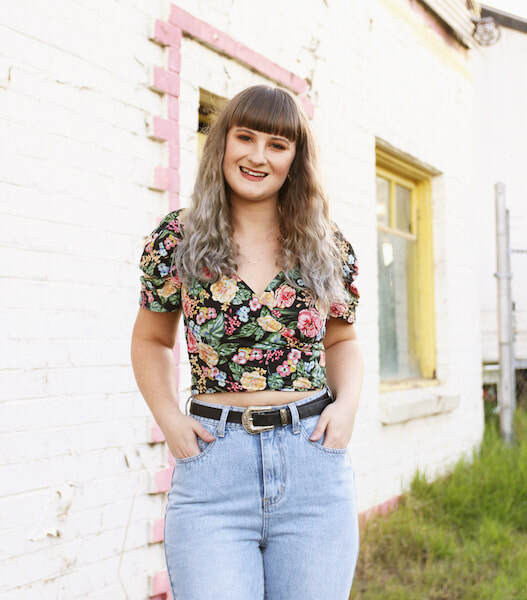 Originally hailing from Gippsland Victoria, she left the country air and hit the road with a calling inside her heart and keyboard in hand - she knew she had a lot to say and only one way to express it. Melodies flood her mind from day to night and her unique lyrics tell stories of summer days, troubled nights, and an unsettling determination. Her songs are deeply personal and reveal raw and powerful vocals accompanied by catchy guitar riffs, hard hitting piano, rumbling bass lines, and punchy drums. This along with colourful harmonisations and an indie-pop production makes for a captivating sound that is emotionally compelling and is sure to have you singing (or humming) along in no time. Audiences can expect to feel encouraged and inspired to be their authentic selves whilst being entertained with a performance that showcases creative musicianship and commands attention. Chelsea Lorraine’s soon to be released EP I Won't Settle was recorded at Studio Truth in Melbourne, under the production of Curtis J Hatton, who has worked with notable artists who have had success on the Billboard Charts as well as platinum and gold record holding artists. ​Chelsea Lorraine describes I Won't Settle as; “a reminder to keep going after your dreams and not to settle because of fear, but to stay focused, keep your thoughts in check, and know that you have something wonderful and unique to offer the world”.